What do you do when things go from bad to worse? Where do you turn when you see a spotlight shone on the ugliness and evil in the world? 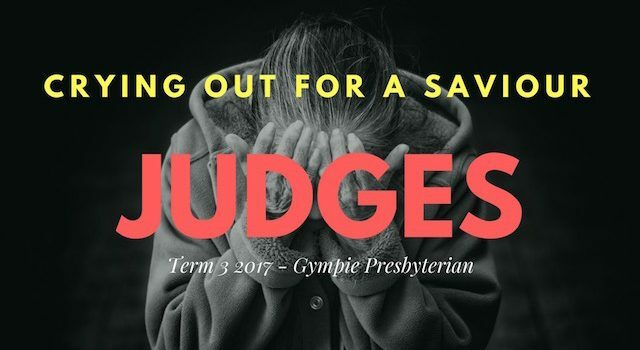 This term at Gympie Presbyterian we’re hearing from the Old Testament book of Judges. It a book of graphic and sometimes barbaric events which show our desperate need, the reason we cry out for a Saviour. Join us, 9:30 am Sundays as we hear from this brutally honest part of God’s Word, and look to our only hope, the Saviour Jesus. Listen to the sermons in this series here.